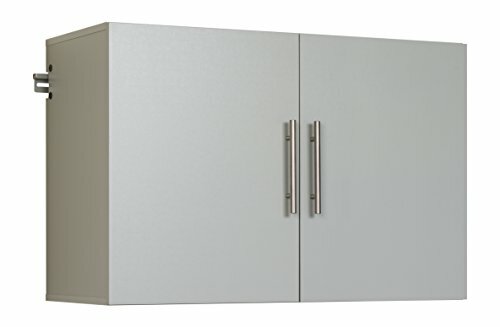 The Hang-ups 36" Upper Cabinet offers versatility for your ever changing storage needs in the garage, laundry room, office or workshop. The Upper Cabinet mounts securely to the wall with a heavy duty metal rail and hook system. The wall mounted feature ensures easy cleaning beneath the cabinets and protects your stored items from water & dirt. The Hang-ups Collection is constructed using laminated composite wood and features metal handles and adjustable hinges. This product ships ready-to-assemble and includes all hanging rails and fastening bolts. Add other cabinets from our Hang-ups Collection to create a storage system to convert any cluttered room into an organized space.